How should my FiveFingers fit? Will you make additional sizes? Can you do anything to accommodate people with two different sized feet? Can I use Vibram FiveFingers in fast-moving water? Do Vibram FiveFingers come in children's sizes? Are Vibram FiveFingers a good choice for vegans? I want to run in Vibram FiveFingers - Where can I find more information? Can I use my orthotics in my Vibram FiveFingers®? Can I wear Vibram FiveFingers® if I have webbed toes or syndactyly? I was told I was an over-pronator. I was also told by some experts to buy certain types of shoes for motion control. Can Vibram FiveFingers® help me or should I steer away from them? If my Vibram FiveFingers® hurt while running, should I continue using them? I have always used motion control shoes. 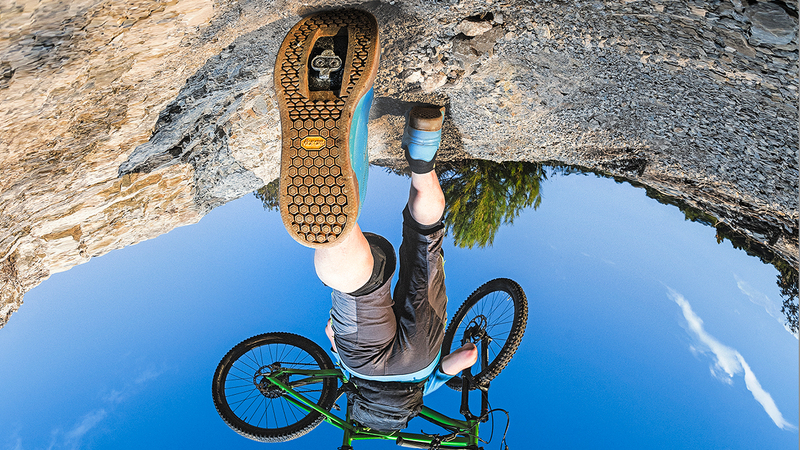 Should I drop down into a mid-range shoe before entering into a pair of Vibram FiveFingers®? Vibram FiveFingers® do not have a cushioned heel pad. What will that mean to my biomechanics? Can I still run in my regular running shoes and use my Vibram FiveFingers® for training? How long until I see results in my training? You want your toes and heel to fit into each pocket comfortably and snuggly, with your longest toe grazing the end of the toe pocket. You do not want the standard ½ inch of "wiggle" room as desired in traditional footwear. Although it is perfectly fine for your toes to graze the end of the toe pockets, make sure that each toe can extend fully. If any of your toes are scrunched or curled due to lack of space, you need to go up in size. Alternately, if you wiggle your toes and they slip out of the toe pockets, you need to go down in size. Ultimately, you should find a pair that you are comfortable in and that allow you to perform activities freely and naturally—as if you are wearing no shoes at all! Yes, we have made this recommendation many times with great success. The best fit for your individual needs is determined by your foot measurement in inches. The only difference between male and female Vibram FiveFingers is that male "lasts" (shoe forms) are slightly wider and longer than the female models. If your foot is smaller than the smallest male size, certainly try on a female size based on your measurement in inches—you may have much better luck! Alternately, if you are a woman and your foot is bigger than the largest female size, we encourage you to try one of our men's models. Your size chart only goes up to 12, and I'm a 13. Can i still wear Vibram FiveFingers? If you look closely at our size chart, you will notice that the numbers printed across the top of the chart refer to your foot's length in inches, not in us size. We found that, due to the precise nature of the Vibram FiveFingers fit, the most accurate size translation was in inches, not us shoe size (which varies across brands and styles). Fivefingers can fit up to a 12-inch foot, which roughly translates to a size 15. In order to find the right size, please measure both feet from heel to longest toe with a ruler in inches and refer to our size chart for the right size. You can go here to watch a video on properly sizing yourself for Vibram FiveFingers. Please refer to the "specifications" section on the footwear product page of your choice for a description of the materials used in that model's construction. Trace amounts of latex may be present in our bonding compound. Those with latex allergies should avoid wearing Vibram FiveFingers. 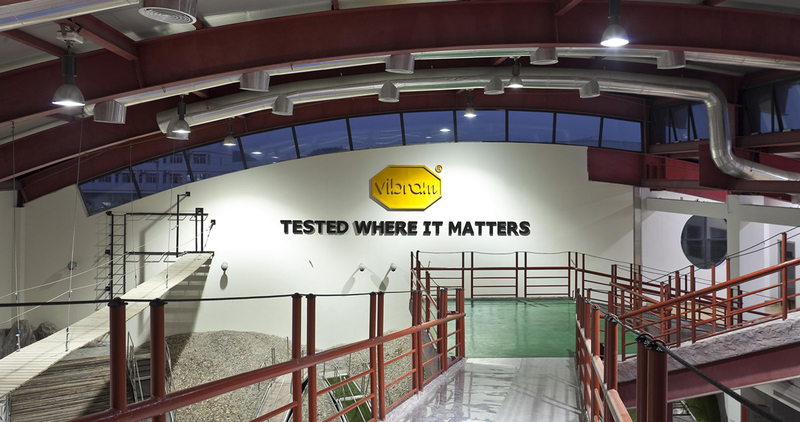 Vibram FiveFingers® footwear is machine washable. Use gentle, warm water cycle with liquid or powdered detergent. Hang to air dry. Make sure to keep the KSO Trek, Performa and MOC away from direct sunlight or heat source while drying as leather can shrink. Please refer to the "specifications" section on the footwear product page of your choice for the weight of that model. All products are currently offered in sizes 40–47 for men and 36–42 for women. Smaller (sizes 38 & 39 for men, sizes 34 & 35 for women) or larger sizes (size 48 for men) are occasionally offered in selected colors/styles. Unfortunately we are not able to sell mismatched pairs. If your feet are slightly different in size, we would recommend going with the larger size to accommodate the longer foot. If your feet are significantly different in size then your option would be two purchase two different sized pairs of Vibram FiveFingers. Vibram FiveFingers that have secure hook-and-loop closure on the instep are appropriate for a variety of water sports and activities. Children's sized Vibram FiveFingers will be available starting in Spring/Summer 2011. Yes! Currently, we have many styles and colors made from vegan-friendly materials. Please refer to the "specifications" section on the product pages for a description of the materials used in each model. For more information on running in Vibram FiveFingers and making a safe transition to a forefoot strike running form, please refer to our Minimalist Running FAQ and Running page. Vibram FiveFingers® are designed to promote better foot mechanics—naturally. As such, they're meant to be worn directly against the sole of your foot, allowing your foot to move as if barefoot. An orthotic is an assistive device to support your foot's function and help you compensate for any biological aberrations. Attempting to utilize an orthotic with Vibram FiveFingers® would defeat their purpose. If you have an extremely flat foot, you will need to work into wearing your Vibram FiveFingers® gradually, as your muscles will need time to adapt and strengthen. Our footwear is designed to be worn directly against the sole of your foot. Putting something between the two would defeat their purpose. Unfortunately the design of Vibram FiveFingers® does not accommodate webbed toes or Syndactyly. We are unable to make custom Vibram FiveFingers® to fit specific foot needs. An adjustment period is normal at first as your feet and lower legs increase strength and mobility. This should decrease after a week or two of use. Remember to transition slowly to build the strength in your lower legs and feet and to minimize discomfort. For some over-pronators (people whose feet tend to flatten during full weight-bearing exercise), Vibram FiveFingers® footwear will be too much of an abrupt change in biomechanics. We always recommend what we call a micro progression into Vibram FiveFingers®. The too-much-too-soon phenomenon can be a problem for anyone's foot. In the case of severe over-pronators, Vibram FiveFingers® might not be a wise choice for weight-bearing activities. Over-pronators will definitely benefit from some focused rehabilitation and foot-specific exercises before wearing any minimalist footwear. For some, it is a matter of weeks, for others months, and for a few it could be a year or more. Much is dependent on your foot type, the activities you're using Vibram FiveFingers® for, and the amount of pronation you experience. The progression will ultimately be worth the wait, and your foot and body will be stronger and better off for it. The answer lies in your inherent foot and body biomechcanics and the condition of your muscles. Just remember, improving the skill of those muscles then practicing and using those muscles in Vibram FiveFingers® will increase both endurance and strength. 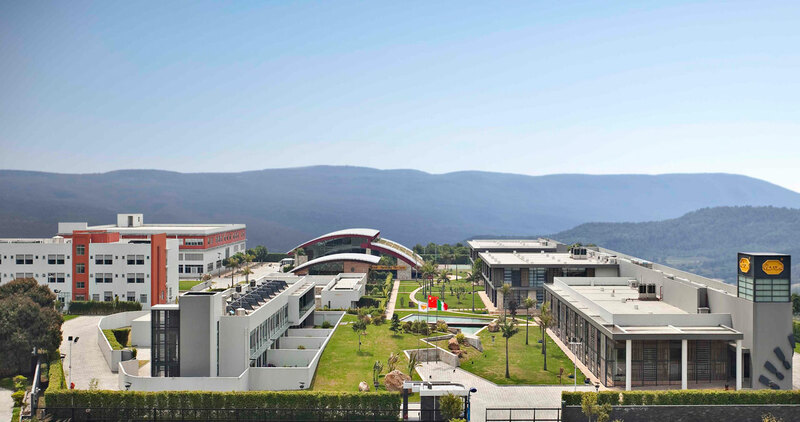 This will have profound beneficial effects on your body and wellbeing. Listen to your body. Minor initial discomfort is not unusual for some individuals, depending on your foot type and running style, but you should not continue if pain persists. Transitioning slowly to build proper strength is imperative when beginning to run in Vibram FiveFingers® . While some customers have transitioned successfully using this method, we've found that it is not the most effective way to make a transition. More minimal sneakers tend to continue enabling a heel-strike running form, whereas running in Vibram FiveFingers® means learning to run on the forefoot. We recommend running first completely barefoot on a hard flat surface. This serves a dual purpose. One, it naturally forces you to run with a very light forefoot strike. Two, it allows your skin to function as a failsafe, so that you don't push yourself too hard too soon. As you develop a solid forefoot running form you can begin transitioning to Vibram FiveFingers® . Slowly building your mileage is critical as your body needs time to build the necessary lower leg strength for forefoot running. In your typical running shoe, the heel is higher than the forefoot. In Vibram FiveFingers® both the heel and forefoot lie on the same plane, so there is no cushioned heel. If you are a traditional heavy heel-strike runner or walker, you might have a biomechanical change to make, but this change is likely a good one. Humans are not meant to heel strike heavily, particularly when running. Try running without shoes on; you will see what we mean. Running barefoot with a strong heel strike will send you to the sofa to let your bone contusion or fracture heal. 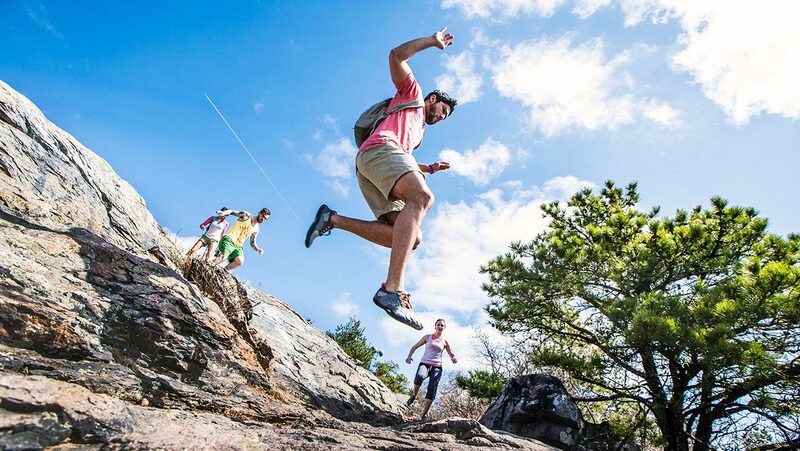 One of the goals of Vibram FiveFingers® footwear is to encourage forefoot striking, meaning your forefoot will contact the ground first then engage muscles in your feet and lower legs as your heel touches down. This style of running may be safer and lead to fewer injuries, in addition to being biomechanically more sound from an energy and force distribution standpoint. Basically, it is a smarter way to ambulate. Yes. Training in Vibram FiveFingers® will enhance your proprioception and foot strength and help you run better, especially if you utilize the technique adaptations you learned while using Vibram FiveFingers® . That said, if you do continue to use running shoes in rotation with your Vibram FiveFingers® , we recommend you seek out flat, thin-sole running shoes that allow you to maintain the good technique you will have learned using Vibram FiveFingers® . Many have used Vibram FiveFingers® as a training tool at first, but often make the full switch as their form improves and feet strengthen. A change in your running style (to a more natural forefoot strike) should occur almost immediately, with lasting adaptations within a few weeks. As your form and foot strength improve you will become more adept at forefoot running and therefore be able to increase your speed and mileage. Maintaining a patient outlook is critical in transitioning to Vibram FiveFingers® . Remember, you are learning to use a new athletic skill. Many runners will feel driven to regain the mileage they were used to doing in sneakers in a short period of time. Doing so can lead to overuse injuries, because muscles and tendons need sufficient time to build the strength required for running with a forefoot strike. Sticking to a slow, but steady transition will build a strength base for longterm success.